Guests on Leave It All Behind include Muhsinah, Marc Mac from 4Hero, Zo!, Darien Brockington and Yahzarah. 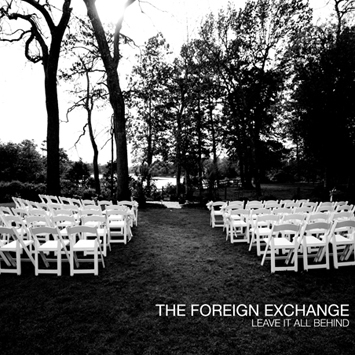 The Foreign Exchange has released a sampler in advance of the album that you can download below. They are also offering the lead single, “Daybreak,” in exchange for your email address at www.theforeignexchangemusic.com. This entry was posted in News and tagged Foreign Exchange, Hard Boiled Records, Nicolay, Phonte. Bookmark the permalink.